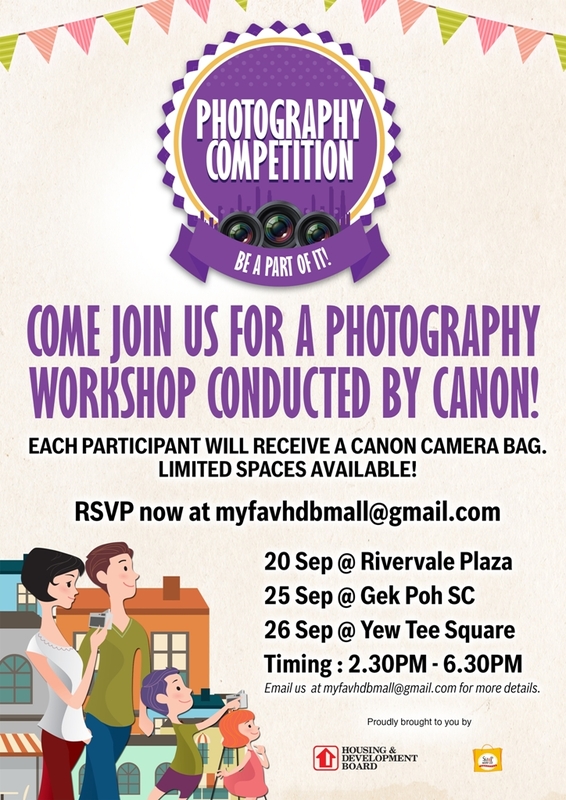 18th September 2015, Singapore – Canon Singapore is teaming up with Housing Development Board (HDB) for a series of Photography Workshops and Competition – right to the heartlands. Goodies Bags from Canon will given out and there are limited places available. Register soon! Details on the below image. Advertisement: We have over 200 designs of camera straps for your Canon DSLR! Advertisement: We have lenses for your Canon System, talk to us today! Advertisement: Why let others use your photos for free? Let us help you make some $! This entry was posted in Brand: Canon, Featured Photography Merchants, Photography Contests and tagged Canon, Canon Singapore, HDB, Photography Contest. Bookmark the permalink.